Walking into Wayside, a first floor classroom to the right of the door is where almost all of your school problems can be fixed or helped with some time with Kim Stewart, who is one of the two learning specialists at Dana Hall. Ms. Stewart went to Antioch for as an undergraduate and received Ph.D in neuroscience from SUNY Stony Brook University located in Stony Brook, New York. She majored in neurobiology In school, Ms. Stewart never thought she would end up being a learning specialist. Ms. Stewart’s favorite part about her job is socializing with the students. Now I think we all knew this was coming: I asked her what her least favorite part of her job was. With a sigh she responded, “SAT and ACT accommodation paperwork.” This sounds particularly painful to me because she already took them, and thinking about them again is a drag! Ms. Stewart used to be my tutor in 8th grade. I knew she helped me a lot back then, but I never knew how much she did in the Upper School. She has helped me with many papers over the years and for that I am so grateful! Since Ms. Stewart works with all grades, she knows each curriculum very well and has to stay on top of everything. I asked for an approximate number of how many students she sees in a day and she responded with “a lot!” Her favorite subject to help kids with is English, and the hardest subjects–for both her and her students–are United States History as well as Western Civilization. Her favorite class when she was a student was Biology, and she always is interested in hearing what we are up to in our Biology classes. 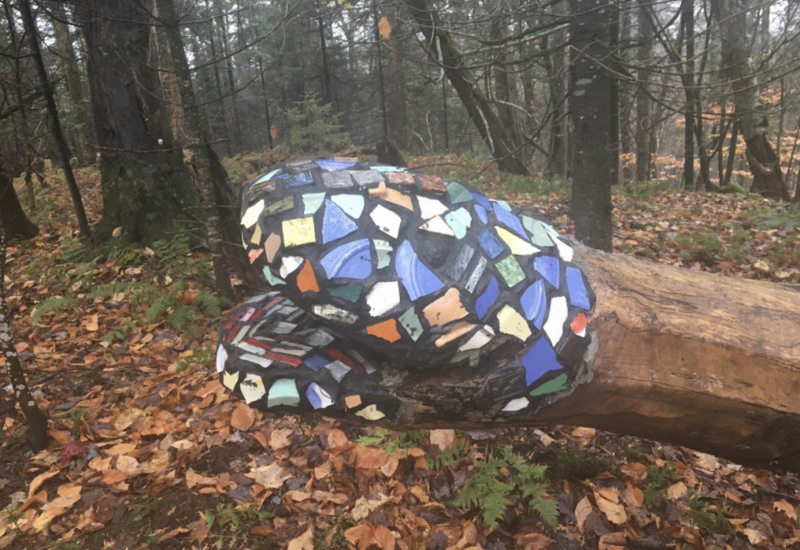 Ms. Stewart contributed to this mosaic of a snake’s head in Vermont. Ms. Stewart also does many activities outside of school such as rowing. She started rowing eight years ago and loves because it takes lots of mental discipline to be able to get up early before school. Not only does Ms. Stewart love to row, but she also enjoys running and working out with her rowing friends. 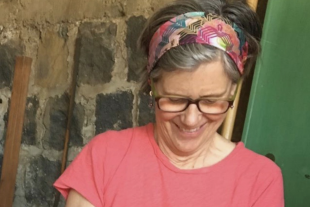 She is also very into making mosaics and goes to a studio and puts them up on trails in Vermont. Wayside can be a bit of a hectic place with classes, Math Lab, Writing Lab and Learning Lab. However, when you’re there, you feel accomplished and ready to learn. Ms. Stewart can help you with whatever challenges come your way. If you need help with papers, homework or labs you can go to Ms. Stewart! She knows the curriculum of each grade very well because she helps students in all grades. She also meets with teachers regularly so she can get an idea of what they are doing in class. In Wayside, you are also in a location with Math lab and the Language lab; so textbooks and computers are available for your use. Ms. Stewart is in high demand, but if you both can find a time to meet your day, will be complete!